Are battery woes scuppering Apple's iWatch plans? 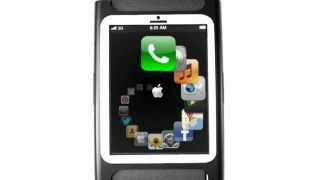 The past few months have been pretty tough for Apple's iWatch if all these rumours of production woes are to be believed. We recently heard that Apple's smartwatch was facing some serious problems at the factory, with less than half of the iWatches coming off the production line as usable devices. Now we've been given some more specific details on the problems Cupertino's currently facing. According to The Information, Apple is having a tough time settling on a screen technology to use due to battery problems. People supposedly in the know claim that Apple stopped production of iWatch parts with one supplier towards the end of last year, although it's believed that Apple still has a fairly big team busy working on the device. Furthermore, as The Information states, it's not unusal for Apple to switch manufacturers, so this isn't necessarily terrible news. Another supposed problem is that Bryan James, former iPod software director who was reportedly working on the iWatch, has now moved over to Nest Labs. According to the source, James is listed on a number of Apple patents, including one for a "watch-like device". Apple's iWatch still isn't a sure thing - it's all just rumours and whispers right now. Furthermore, none of these problems necessarily mean we're see the iWatch delayed beyond 2014.